When you make your content clear by writing in plain language and using good information design, the information is more accessible. Content for everyone starts with understanding the audience, including people with a wide range of abilities and helps ensure a good user experience for all. We’re seeing more changes in technical communication today than at any time since most STC members entered the field. (More years ago than we care to admit.) If we simply ask what the future holds, we’ve already fallen behind. Let’s recognize, therefore, that we’re living in the future that we talked about just a few years ago. In this webinar, we’ll explore the landscape of the new world of technical communication. Then we’ll spend much of our time examining the new technical communication workplace and what it means to us as professionals: how we work together, how we engage our audiences, and the new skills we need to master (or at least be conversant in). This webinar provides valuable tips and tricks for establishing a collaborative workflow as you create training and documentation from a single set of source files. This workflow not only saves time and effort, it results in a stronger, more resilient team, a better product, and a more enjoyable process. A major factor in a technical communication professional’s success is asking questions—the right questions—of SMEs, managers, clients, users, and yourself. If you’ve ever suffered expensive consequences because you didn’t ask the right question or you framed your question poorly, you’ll benefit from this lively and interactive session on learning to ask the right questions. “Life, Liberty, and the pursuit of Happiness” is the best-remembered phrase in the United States Declaration of Independence. How we earn our living and how we grow through acts of service have a significant impact on our happiness. The gift of service and the acts of servant leadership benefit your professional life, improve your personal life, and positively impact your overall well-being. Positive outcomes and professional growth through volunteering require a strategy, a plan, and skills to identify the specific criteria for a rewarding volunteer opportunity. What is your goal for your professional well-being? What are your objectives for your life policy? Learn the art of saying no to make room for activities that are in alignment with your personal and professional goals. Find out how to overcome the YOYO (you’re on your own) habit and build WIIT (we’re in it together) skills. Ten years ago in 2004, it was likely that attendees at STC’s 51st Annual Conference in Baltimore, MD attended a session that included one or more expert guest speakers from the Orlando Central Florida Chapter. Orlando was highly represented by a contingent of 17 members, eight of whom presented to the international audience of technical communicators, with a dozen taking part in Leadership Day sessions. These numbers were an all-time high for our chapter. However, It should be an outstanding event in the usual fashion. This year’s summit takes place 18-21 May in Phoenix and officially begins Sunday evening, 18 May, with a general session and keynote speaker. 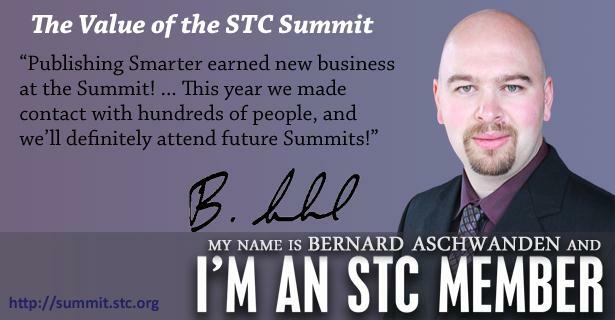 Check out the 2014 STC Summit Video. I have attended in 2007, 2010, 2011, 2012, 2013, I don’t know yet, if I will be able to attend this year due to company finances, but I am still working hard to convince my boss how important this is to me, to our department and to the Company. Rates have been much the same for a number of years. 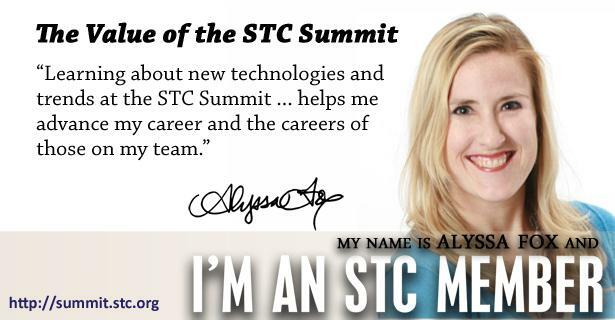 Each year I submit a letter to my boss justifying why I should attend the STC Summit in today’s economy. I understand that we are trying to cut back on costs and we are looking for ways to get the most for the money we spend in every area. As we have discussed previously, there is a cost-effective professional education conference in May that will help me better reduce the expense in documentation costs, collaborative authoring, best practices, Technical Communication Management, as well as several other areas. 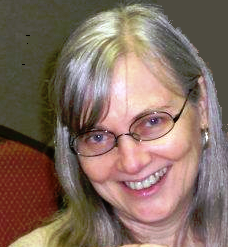 As the WVO IT Technical Communication Group Team Lead and President of the local Orlando Central FL Chapter of the Society for Technical Communication, I would like to attend the 2014 Technical Communication Summit in Phoenix, AZ on May 18-21, presented by the International Society for Technical Communication. The Summit is packed with more than 80 sessions occurring over the four days (3 full workdays) with topics covering all aspects of leadership, technical writing, editing, practice management, and publication production. With most conferences, the challenge has always been to get to as many of the higher priority sessions as possible. That’s where this Training Summit is different! 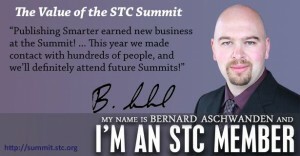 STC now includes SUMMIT@aClick in the registration fee. This is an online collection of the conference’s content. I will be able to bring the entire conference back with me to revisit and to share with the rest of the team. This increases the value of my participation tenfold. Not only does it capture the audio and visual presentations of the speakers, its content can be shared and revisited for a year after the conference with others on my team, as well as others in our Company. With the current economic conditions, we are all being asked to do more and control costs wherever possible. This conference is a small investment in empowering me and others involved in technical communication efforts to do even more. The sessions I attend will provide us with more knowledge of content production, editing, writing, user experience, management concepts, and collaborative authoring. This knowledge will enable me to handle documentation projects with more professionalism and confidence, which will reflect favorably on Technical Communication, IT RCE, Information Technology, and WVO. ….and with SUMMIT@aClick, I will be able to pass on much of this information to coworkers. So…cross your fingers for me… I hope I get to go…It’s my first year as President and not being there would be so disappointing!!! Dalton is a past president of the chapter and was a technical communicator for 25 years. He is now a senior business analyst (with the heart of a technical communicator) at Houghton Mifflin Harcourt. Dalton recounted the milestones of his own journey to becoming a certified business analysis professional (CBAP). His presentation was an honest and often humorous look at the process, from preparing the application (including proof of 7500 hours of BA experience), to clicking Submit on the 150-question online exam, many hours of BABOK study and several hundred dollars later. The presentation concluded with the audience trying its hand at answering sample multiple-choice questions from the CBAP exam. The Orlando Central Florida Chapter was recently selected to receive honorary Associate Fellow recognition! That’s right, even though Mike Murray’s name appears on the award plaque, the Chapter was indeed selected. I will never forget the feeling of outright panic that jarred my body when W.C. Wiese looked me straight in the eyes and said, “I’ll be the president if you’ll be the vice president.” With W.C. and Dan Voss silently staring at me, what could I possibly say other than, “Uhhh…hmmm…well…I guess so.” I had already looked for an escape route – there wasn’t one. I was trapped! I recall an “emergency” meeting in the Lockheed Martin cafeteria with Dan Voss. “What the heck do I do now?” He wasn’t much help. To shorten this story I did indeed become the Vice President and was soon thrown into what felt like the lions’ den. To shorten this story even further, what I hadn’t considered was just how talented and dedicated out chapter members are. I quickly identified the best of the best and surrounded myself with outstanding people. The result was our first three Community of Distinction awards. The award application form asks for many, many things that no one person can ever hope to accomplish – it takes the whole chapter. When you find a chapter like Orlando Central Florida that has a handful of STC Fellows, you know that chapter has an exceptional group of members. The people who surrounded me during my three-year presidency, along with the rest of the chapter members, really made me look good. That’s why I accept this honor on behalf of each and every member. Congratulations, everyone!